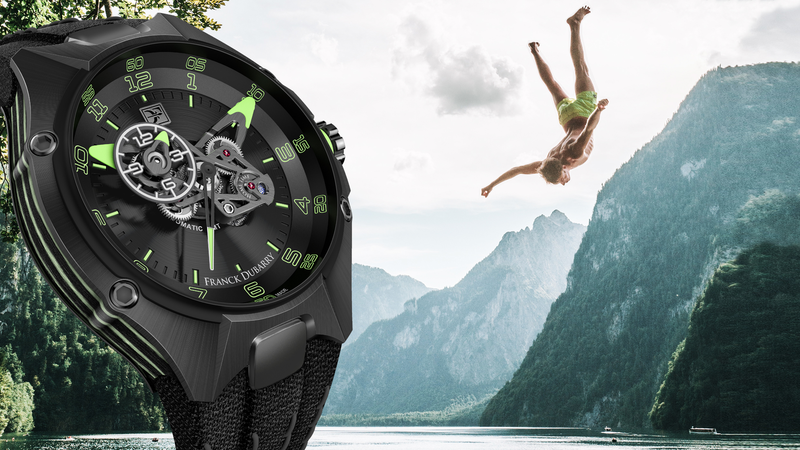 He founded one of the most disruptive concept in Watchmaking. Franck Dubarry is back with an eponymous brand & in-house modules. The French designer intends to bring to the industry new DNA codes for the future of High-End Watchmaking. The GMT Fileteado Collection is a tribute to Buenos Aires artistic street influence, using high technology & innovative techniques to engrave cases and handcraft specific dials. Discover an exclusive Flying Bridge module, developed & produced in-house in Swiss Jura. Titanium, Carbon, Kevlar… This collection uses innovative materials & advanced production techniques to display an amazing 360° module.